One of the questions I get asked very often by friends and relatives is, “Are you a full-time blogger/content creator?” My response will always be a quick laugh, followed by, “No lah.. Very hard to do full-time, but it helps me earn a side income!” So I thought I’d share a bit of my experience for those who might be keen to start creating content! Just keep in mind that it’s really not something you do for the fame, status, or just because every other person is doing it. As cliché as it sounds, you really should be passionate for the content you create (whether food, travel or beauty), the process of creating it, and are genuine about the reviews you’re sharing to your audience. Also, don’t ever succumb to buying fake likes/followers and degrade yourself because even though the people around you might not say it out loud, they will still be able to see through. So through the past many years of blogging, social media content creation and even starting Wing Ding Fam with the team and learning how to create/edit videos last year, I’ve learnt how you can either work directly with clients or through PR agencies for campaigns. However, to put it bluntly across, they will usually engage/notice you only when you have a certain level of audience so as to get the word to a bigger crowd. Now, here’s some good news for you.. Not just for “influencers” (so cringe, I actually prefer the term content creators), Partipost allows anyone to join and download! Simply just Snap. Post. Earn. 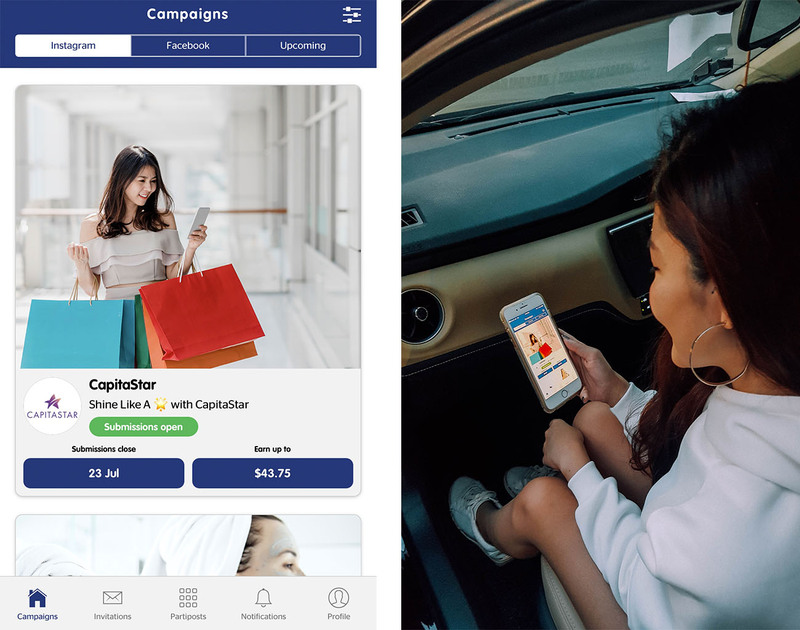 If you’re wondering, “What is Partipost?” ― basically it works on a crowd marketing concept to allow users to earn extra cash through sharing the word on social media. You get to browse ongoing campaigns and try out new products, enjoy a meal or attend events too. Of course, you’re not obliged to take up any campaigns that you don’t want to, just browse through to see what’s suitable to your niche and/or likings. Once it’s done, submit your posts for approval before posting it up on Instagram/Facebook. Do note that only approved ones are allowed to be uploaded on social media and get paid! Earn some extra cash depending on the amount of likes, shares or tags you receive. That’s how their payout structure works, which is transparent on the app so it doesn’t cover any hidden fees from you. Money is also easy to withdraw through the app, and yes, it’s completely free to download! Check out Partipost here! Here’s a posting I did some time ago for Shopback! 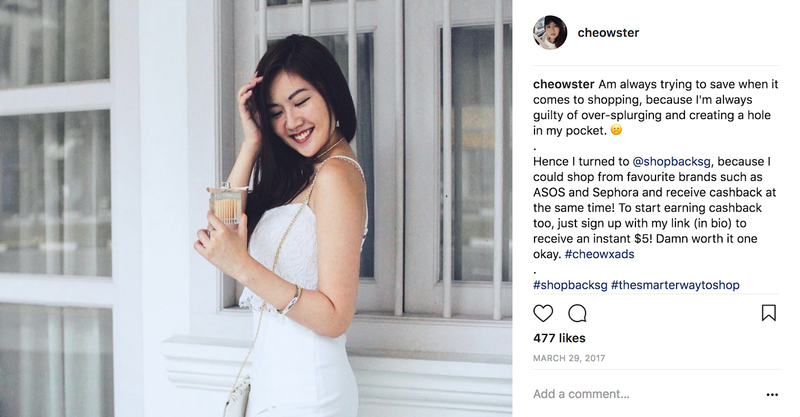 Partipost has grown a lot ever since then, and they have even worked with other well-established brands such as Nando’s, Grab, Singtel, Honestbee, and Timberland! Some of you might be wondering if there are any exclusive rights or contracts needed to be signed in order to participate. Nope, you don’t have to, and are always free to work with other brands! So yeah, for those of you who might be keen to try it out, just remember to give truthful, honest reviews and it’s not about climbing a social ladder or being a wannabe like many may claim; it’s to have a liking for creating content and sharing a good experience with your audience, whether big or small! Hope this came helpful for you :) Good luck, and happy posting! I don't know about you, but I always face this problem of getting my earphones entangled — every. single. time. It's always the case, especially when I bring my earphones along with me on my travels, intending to plug in on my favourite Spotify playlist for hour-long flights or comfy train rides on my trips, to end up with a huge amount of time spent trying to sort it out. Am I glad that I don't have to worry about such issues anymore with the latest SUDIO Tre Earphones sent over! If you haven't already heard, SUDIO Sweden is widely known for their cutting-edge earphones, not only designed to fit into our lifestyles but also serves different purposes. Their Tre collection is catered best for active users, with sweat and water-resistant functions and custom wing-tips for a secure fit. This is, without fail, extremely important when you're going out for a run and want your earphones to be kept in place without interfering your exercise routine. One of my favourite features from the Tre range would be its Bluetooth function, given that I have yet found a suitable fit for my current iPhone 8+, as its design doesn't come with a headphone jack. 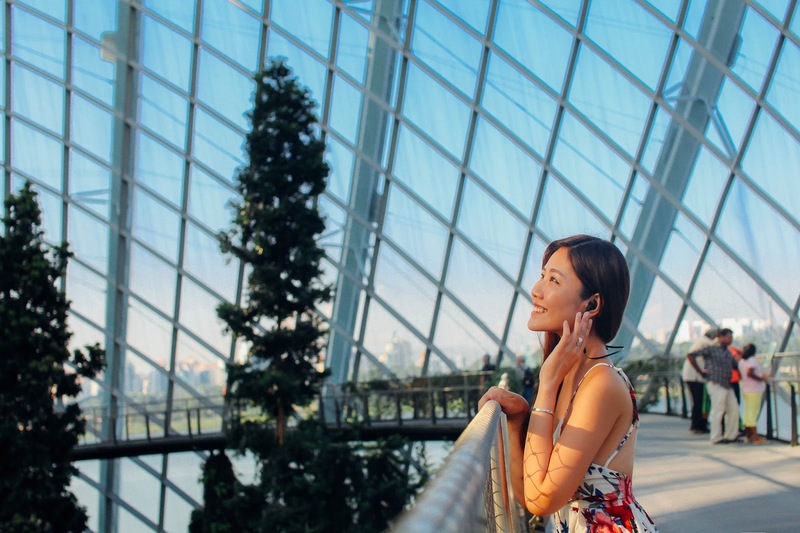 I also tend to explore the city often when travelling, so the 9 hours battery life would definitely be in handy! Did I also mention that it has great mic clarity and Siri voice control too?! The only thing that might take me a little longer to adapt to, would be the full sound transparency function. I usually prefer to block out all noise from the background, but sometimes, I end up losing touch with my surroundings which could even lead to dangerous situations. Hence I'm getting myself to adapt to this new function, while still being able to tune in to my favourite music and podcasts. Not paid to say this, but though it's my first time working with SUDIO, they have been such wonderful and generous individuals whom I love working with! Besides their excellent service, they have been so utterly generous with their products, sending over these lovely sets of my desired colors for me to try. I'm always thankful when I can share my client's products with my family members, and it came just in time when both my mum and brother were facing issues with their previous set of earphones. They are both currently using this series now and it even comes with a handmade leather case for each set! Available in: Black, Blue, White (with rose gold), and Pink. 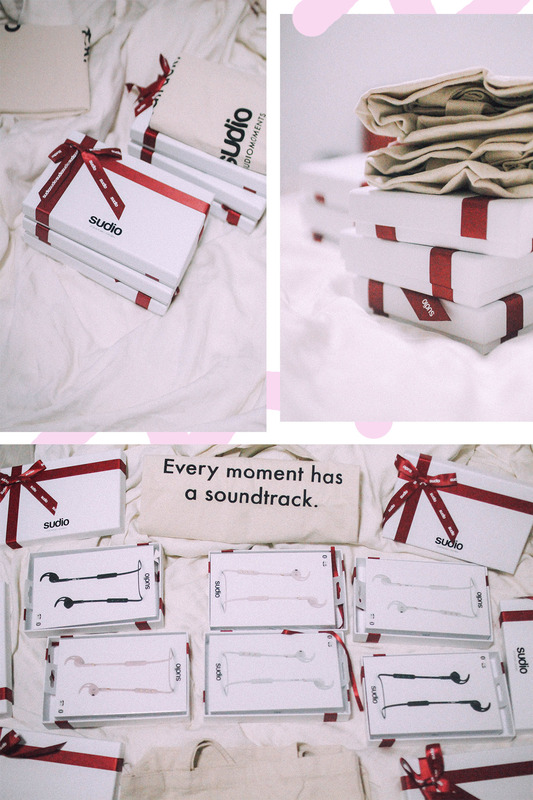 Here's something special that the team from SUDIO would like to share with you guys: For this season, you can cart out your favourite pair of earphones for 15% off, using the code <cheowster> and get a complimentary limited edition summer tote bag with every purchase made by 30 May! I'm currently using the pink pair of earphones; get a pair to try too, or even for your loved ones! Holla! I know it's been a while since I wrote on this platform, but I've been contemplating for the longest time if people actually read blogs anymore, or have they all shifted to YouTube/Facebook to watch feeds filled with videos? After much thoughts, I realised that my passion still lies more in writing and sharing my written thoughts because I can better express myself. 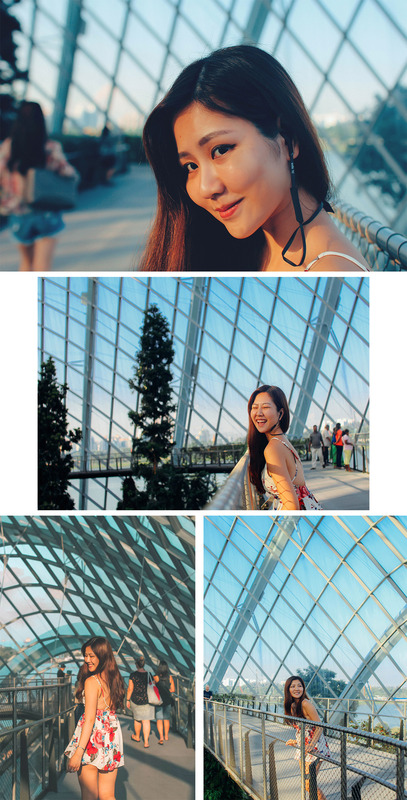 Hence, this is my attempt to be more constant with my sharing of travel and lifestyle content! 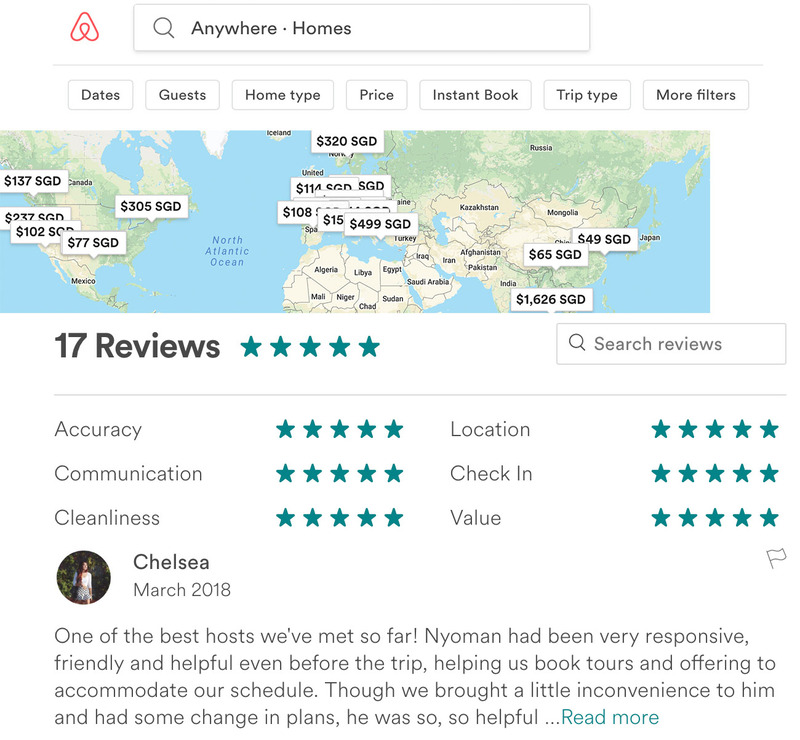 I just came back from Bali, and I thought I'd share some thoughts I have on a Bed and Breakfast service that is probably familiar with most of you out there — Airbnb! Ever since I've started using Airbnb to source for homes when I travel, I've always been doing so for my trips every now and then because of its affordable rates, genuine home experience, how it helps me connect with locals and the amazing photos that I can get from beautiful homes that you won't be able to get at many hotels. Although it may not be something new to many, I thought it'd be great if I listed some tips I thought would be helpful for first-timers or even existing Airbnb users, through my past years of using the Airbnb service. Of course, this is not a sponsored/paid post — just my genuine sharing of the platform. First of all, decide on your next travel destination. You can also check out the locations of places you'd like to visit to get a rough idea of which area you'd most likely be staying during your trip. For me, I usually like going to different parts of the country if convenient to rent a car. Hence, I'll usually select a few Airbnbs from different cities depending on the activities I plan to partake in. With the Airbnb map tool, you can hover over the location you wish to visit and they will show you many homes within that specific area. The platform has made is SO convenient for users to filter out according to the travel dates, no. of guests, home type, price range, accommodation preferences, etc. It'll save you loads of time! I usually choose homes that already have good reviews, because I don't prefer to risk a bad home experience. Personally, I'll pick homes that are within my budget per night, along with positive reviews and decent sample photos — brownie points if they have an Instagram-worthy home! I will then add the shortlisted homes to my wishlist so that I can refer back easily. I also just found out that you can google wishlists by other users, too! e.g. "wishlist Bali Airbnb" and there will be many wishlists appearing on Google search. Try it! 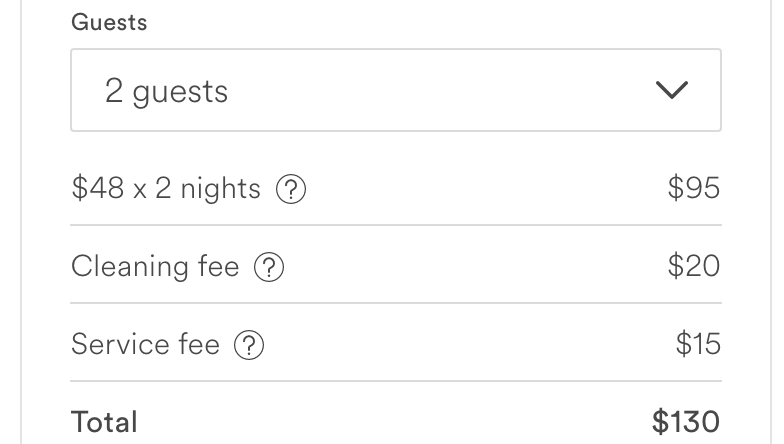 Airbnb has two options: either you enquire first, or book immediately. I usually contact the host to check on their response rate before booking, to establish a relationship beforehand and check on some simple details, such as their house rules, recommended places to eat/shop/visit, and additional tips. This is also a great way to check on your host's service and raise any concerns you have. Don't forget to check on any additional fees that might not have been included in the pricing. For example, service fee and cleaning fee. Before making any bookings, always check through the facilities carefully in the listing. Some of the basic things I look out for are wireless internet, air conditioning, parking on premises, kitchen, bathing essentials, and if possible, breakfast too! I love how you get to try a taste of each city's homemade cuisine when visiting different homes from different Airbnb experiences. 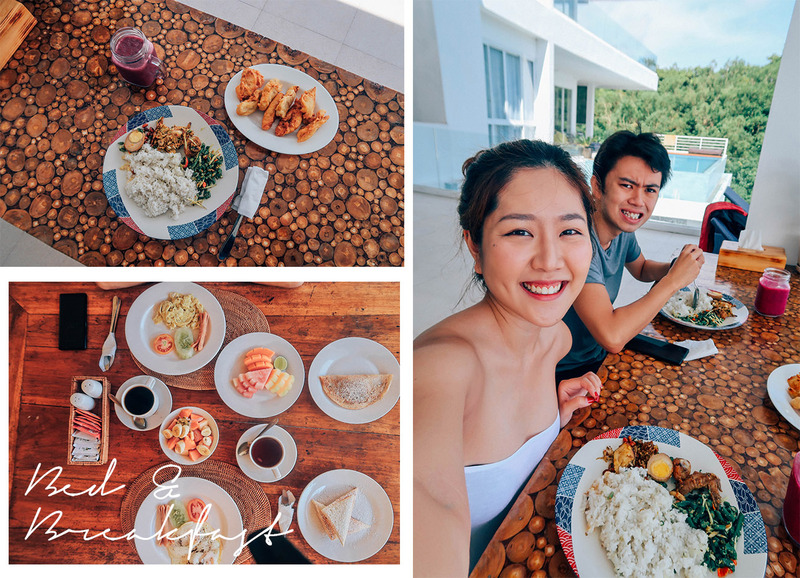 Last, my boyfriend and I had delicious Balinese breakfast by our host, from Bali chicken rice with dragonfruit blended juice, to pancakes with their famous black coffee and fresh homegrown fruits. I miss it already! Though you may want to skip the service fees, it's always recommended that you make payment through Airbnb's secure system to stay protected. And for first-timers using Airbnb, you can use my code to get additional travel credit on your first trip! Ever since I've started using Airbnb, I hardly ever stay in hotels anymore. There's so much more to experience staying at unique homes from all around the world, getting to know the Airbnb community and understanding cultures. Congrats, you've made your booking! Usually, I proceed with sharing my personal information a week before my arrival. I share my flight number and arrival time with the host, enquire on transportation services if needed, take down the host's contact number, and note on additional details such as whether breakfast is provided. Good hosts will usually recommend guide tips and check on you to ensure they make proper arrangements for your journey there. Also wanted to add that I usually arrange my own transportation because my boyfriend and I prefer to venture around the city with our own transport. We usually check if our destination supports the idea of driving a rented car around ourselves, because some places like Bangkok have bad traffic, and Vietnam only allows car rentals with a hired local driver. During our trip to Bali, we compared daily rates of car rentals compared to flagging blue taxis and realised how much better it is to simply rent one instead! Breakfast meals at our Bali Airbnb apartments - look at his cute attempt to smile for the camera! Always remember that you're staying at someone else's apartment and always try to keep the apartment clean while using the amenities with care whenever possible. From non-smoking to pet-friendly apartments, it's always better to make an effort respecting the rules. In fact, your host will also be giving you a review at the end of your stay! If the listing doesn't include or specify what they provide in further detail, always check with your host before your stay. Also, don't be shy to contact your host directly should you face any questions. Sometimes, there might be tiny issues that might need fixing and I'm sure good hosts will be happy to assist whenever! Usually, you wouldn't face issues booking an apartment that has been supported by good reviews. However, if your listing booked is misrepresented, generally unclean/unsafe, or if your host fails to provide reasonable access to the booked listing, you can actually contact Airbnb within 24 hours to submit a valid claim for a refund, along with evidential photos explaining your situation. This is why it's always better booking through the platform! I always make it a point to be honest sharing my experience with the fellow community when it comes to leaving reviews. Just ensure you leave it within 14 days so that your feedback will appear on the listing and help out the next traveller on choosing an apartment for their trip. So far, I'm lucky to have met the loveliest hosts from all over the world more than 95% of the time. Sign up for SGD$45 off your first Airbnb Trip using my code!